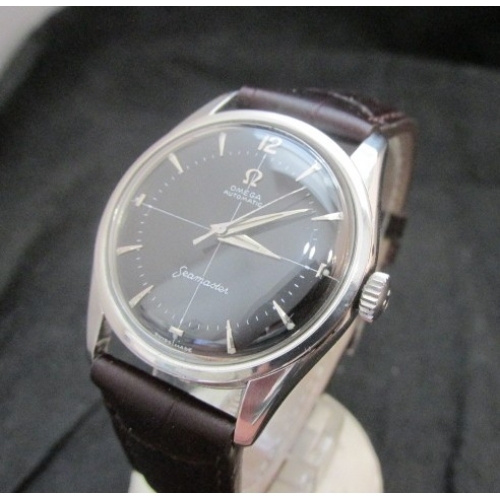 Omega "Seamaster" Ca. 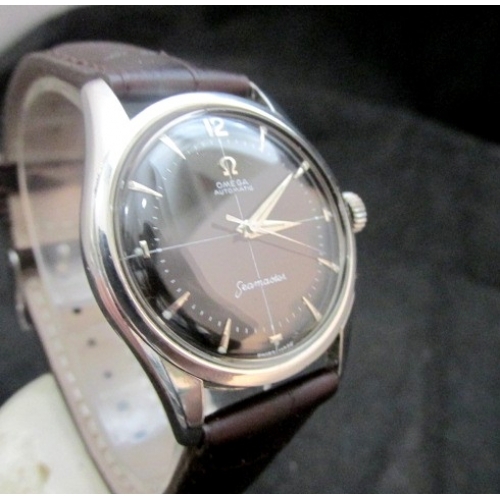 1954 Outstanding condition on this Beefy Lug solid stainless steel "Seamaster" with original factory crown. 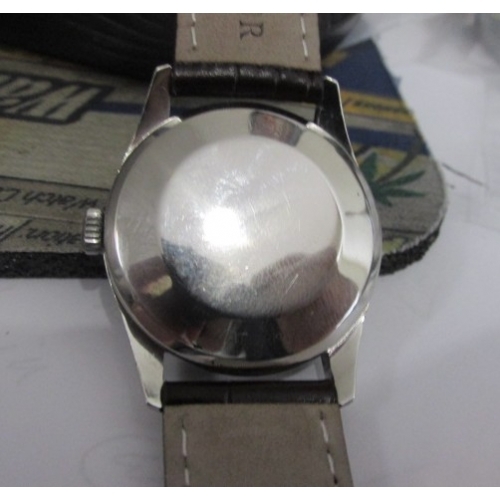 Dial is black (cross-hair) with white lettering in mint condition with silver markers Movement is early automatic caliber 500 with 17 jewels and running perfect. 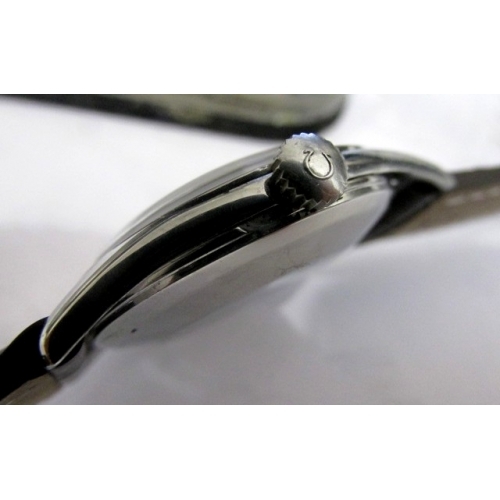 Case measures 34mm x 40.5mm overall with snap back and original factory crown. 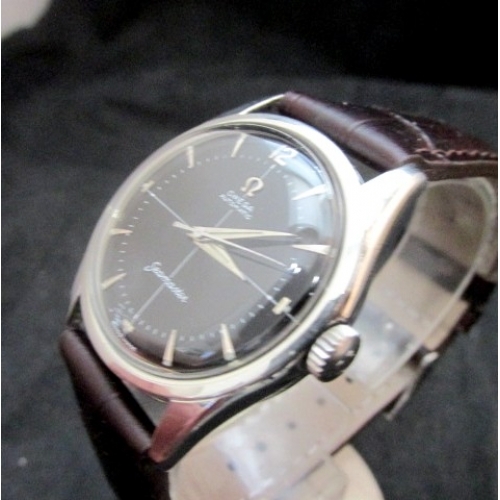 Outstanding condition on this very early Seamaster, in very high condition .... ready to go! 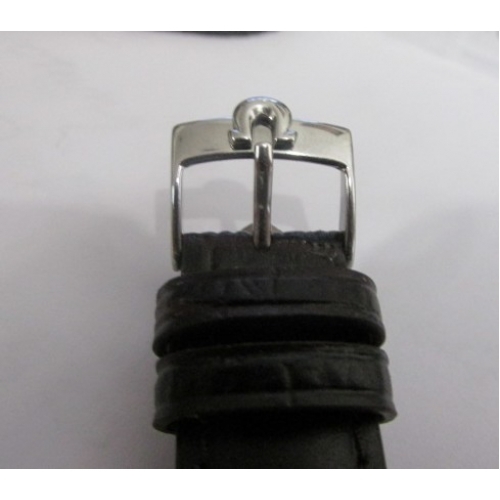 Comes with brand new Hadley-Roma padded and stitched band.